Presbyterian Women gathers women of the church together in community to nurture faith through prayer and Bible Study, and to support the mission of the church worldwide. The communities of women are called Circles. Women of all ages meet once a month from September – May in their individual Circles. Meetings are usually the first or second week of the month. Times and locations are listed in the Worship and Work monthly newsletter. Park Lake has five Circles, named after women of the Bible – Esther, Joanna, Martha, Sarah and Dorcas (yes, that is the name of a woman in the Bible!). Attend Circle meetings and enjoy a “ladies night out” of fellowship and spiritual growth. If you are not currently involved in a Circle, it is never too late to start. The Bible Study for 2018-2019 is “God’s Promise: I Am With You“ by Amy Poling Sutherlun. Mission projects of Circles vary. Circles ask Park Lakers to collect Box Tops for Education for Thornwell Home, food coupons for the Russell Home, small toiletry items for the women and children at the Center for Women and Families at the Coalition for the Homeless, food (canned and boxed) for the Food Pantry at Washington Shores Presbyterian Church, and aluminum pop tabs for Ronald McDonald House. All of these items may be placed in the work room in the church office or given to any Circle member. 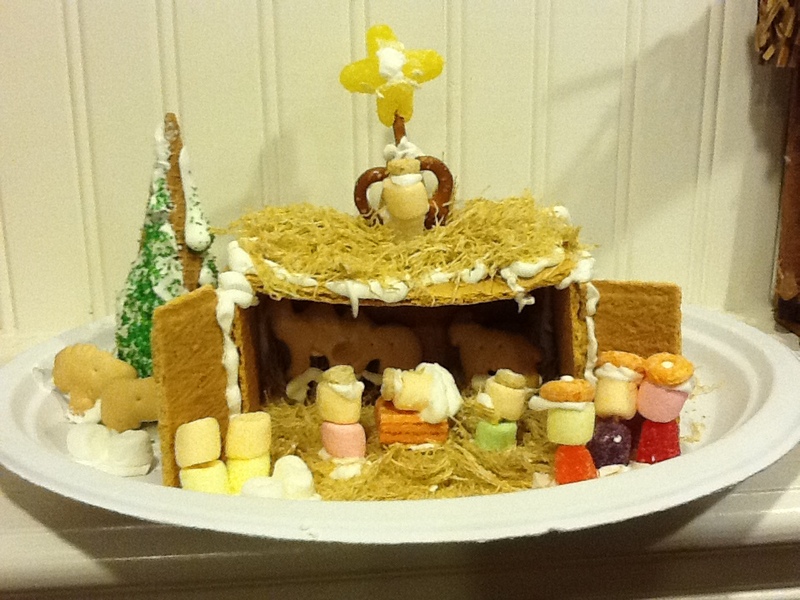 Esther Circle’s gingerbread house and nativity building event during Advent to benefit Habitat for Humanity. Angel Tree Christmas gifts purchased by the congregation for The Russell Home for Atypical Children. For more information regarding Presbyterian Women, please visit the Presbyterian Women page on the PCUSA website.